The big games come thick and fast for Slaviša’s men as we’re on the road once again, making the short trip up the M4 for a stern test against third placed Reading. With only 27 days separating our two fixtures, the Royals will be looking for quick revenge after a humiliating afternoon at The Cottage where Jaap Stam’s in-form side crumbled to a 5-0 defeat. 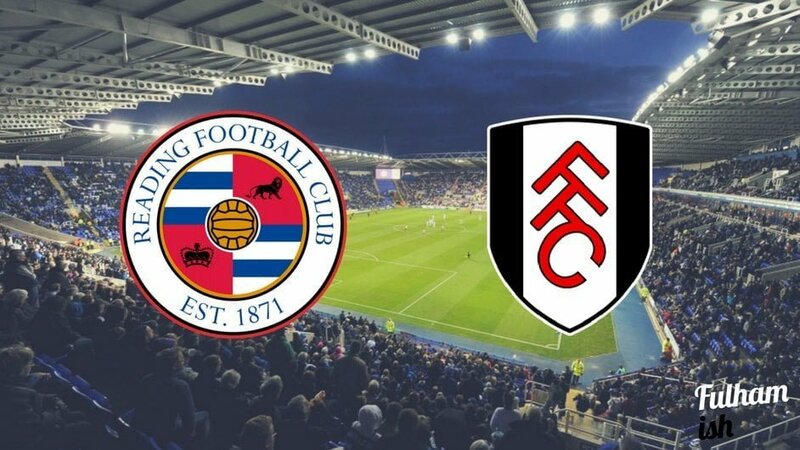 Whilst Fulham were extremely impressive that day, Reading were abysmal and will be determined to prove that defeat was just a freak performance. Full-back Liam Moore was missing from that game (arguably, all the Reading defence were) but should be present on Friday night. The former Fulham target has been one of the Royals’ star performers this campaign and he should make them far tougher for Fulham’s attack to break down. Since the sides last met it has actually Reading who have taken more points from the subsequent four games. Three victories and a defeat up at Elland Road leaves them top of the chasing pack, albeit six points behind automatic promotion. On Boxing Day they claimed a 3-1 victory against Norwich, their eighth home win of the season. At 1-1 in the second half veteran Yann Kermorgant tried a Zidane-style chip from the spot which hit the crossbar, fortunately Garath McCleary (who isn’t 37) was on hand to head-in the rebound. It seems that Sky have missed a trick not putting this game on the box on Friday night. Reading and Fulham not only have the highest possession figures in the division but also the best passing success statistics. Moreover, the two sets of fans have also seen 126 goals between them this season. Never mind, there’ll be probably be another QPR defeat for everybody else to enjoy. The only likely debate once again is who Slaviša decides to choose in the back four. Ryan Fredericks’ blistering pace gave Jordan Obita nightmares last time we played so he should get the nod above Denis Odoi. Despite a clean sheet at Ipswich, we’d still prefer Sigurdsson above Tim Ream. Interestingly, this is technically Floyd Ayité’s last game before he should be released for African Cup of Nations duty. However, it wouldn’t be surprising if the club can just keep hold of him for the Brighton game. It’s hard to make a prediction and not be influenced by the 5-0 rout earlier this month. Reading though are a different proposition at The Madjeski and have only lost at home once all season conceding just 9 goals in 12 games. However, with a big away turnout expected from the Fulham faithful, we’re feeling optimistic. We’re gonna be bold go for an eventful 3-2 win.